If Kings XI Punjab are second from the bottom in the Points Table of IPL 2016, Kolkata Knight Riders are second from the top. The huge difference is because of the result of their respective inaugural match. However, the tender age of IPL 9 ensures that the current place of both the teams is not everlasting. If Kings should not get bogged down by their current status, the Knights should certainly not be complacent with their achievements in the tournament so far. The fickle nature of the the tourney will keep both the teams on their toes. Both the teams will face each other in Mohali on April 19. After coming from a win in their previous match, both the teams would look to carry the momentum forward, but unfortunately one would have to rebuild it again in it's next match. Punjab defeated the Supergiants from Pune on Sunday to register their first win. Much of that credit went to the openers - Murli Vijay and Manan Vohra. The team would definitely be expecting another such outing from both of them. If the openers hunt in pair, the fast bowlers are not far behind. The medium-fast bowling Indian duo of Sandeep Sharma and Mohit Sharma gave 46 runs in their 8 overs and picked up 5 wickets among them. If Sandeep was instrumental in the powerplay and during the middle overs, Mohit took care of the run rate in the death overs. The duo will again have to click against the experienced batting line-up of KKR. Mohit Sharma registered figures of 4-0-23-3 against Pune. What Punjab can do to strengthen their batting line-up is the inclusion of Gurkeerat Singh Mann. Some one of his ability can he handy in the lower middle order. Moreover, he and Maxwell can bowl the quota of the fifth bowler if he is brought in place of Pardeep Sahu. Kolkata Knight Riders will again rely on their all-round strength. 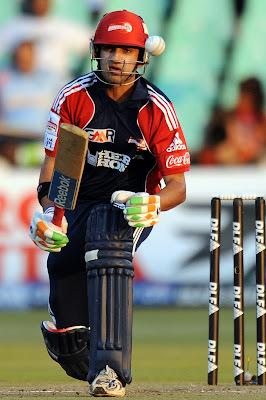 The skipper, Gautam Gambhir has been in sublime touch in the 3 matches he has played so far. The inclusion of Shakib Al Hasan gives credibility to the middle order. Andre Russell can demolish any bowling attack on his day. Yusuf Pathan and Suryakumar Yadav may not have got enough opportunities so far but one can always count on their potential in the shortest format. Umesh Yadav will hold the key for KKR in the bowling department. Umesh Yadav looked far from his best in KKR's inaugural match but the way he came back against Sunrisers Hyderabad was appreciable. Even Sunil Narine had a decent outing with his remodelled action. He would be looking to further hold the opposition batsmen. The return of Morne Morkel is an added boost. All such factors make the already strong KKR more stronger. Out of the 15 matches played between these two teams so far, KKR have won 9, whereas KXIP have won 6. David Miller would be looking to gain the home advantage and improve this record as well as the one on the points table.